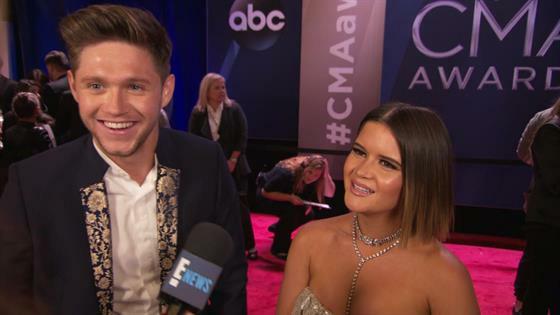 Congrats to Maren Morris and Ryan Hurd! The country stars are married. Yeehaw! Morris, 27, and Hurd, 31, tied the knot on Saturday at The Cordelle in Nashville, TN., E! News has learned. The two got engaged last July. They have been together since December 2015 and have been friends for more than four years. A day before their wedding, Hurd released his new song "Diamonds or Twine." "I played this song for Maren the night we got engaged," he said in a statement. "We were at the lake in Michigan, on the dock, and I will never forget that moment." Sample lyrics include "You know when you know / You hear that all your life / Well whoever they are / Turns out they were right / The sunshine, the good times / Yeah we've got a few behind us / But when the bad times come / I ain't gonna run." Shortly after the wedding, Morris shared some of her favorite memories from the big day including her custom Cavanagh Baker dress, Gucci shoes and MiskWill rings. Before the big day, Morris also posted a photo of her and Hurd on her Instagram, with the caption, "Writing vows, feeling sentimental AF and dreaming of this guy being my freaking husband in a few days." Morris had talked about her and Hurd's upcoming wedding in an interview with E! News on the red carpet at the 2017 CMA Awards in November. "We have a date now—it's March 24. I feel like all the corners are knocked out. We've got the location, the date, the guest list—kind of—and I've got the groom!" she said. "So, that's the most important part." "Ryan and I want it to feel like us, so it's going to be a party," she added. There's going to be a margarita bar, oyster bar, a Motown DJ, my dog. All of it!" This story was first reported by People.